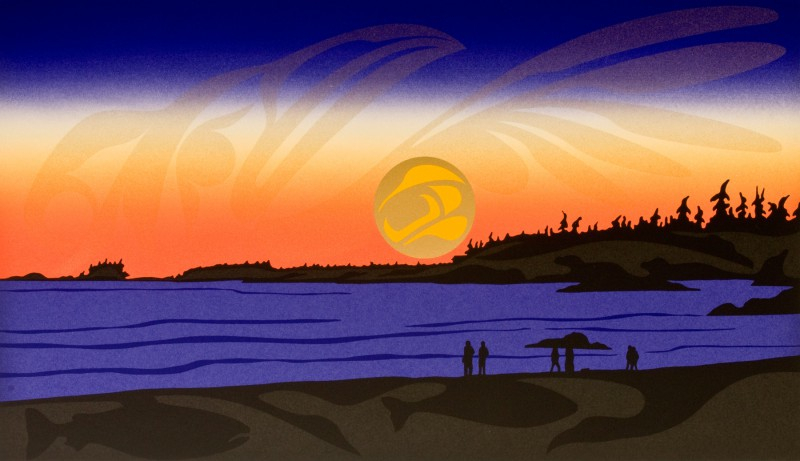 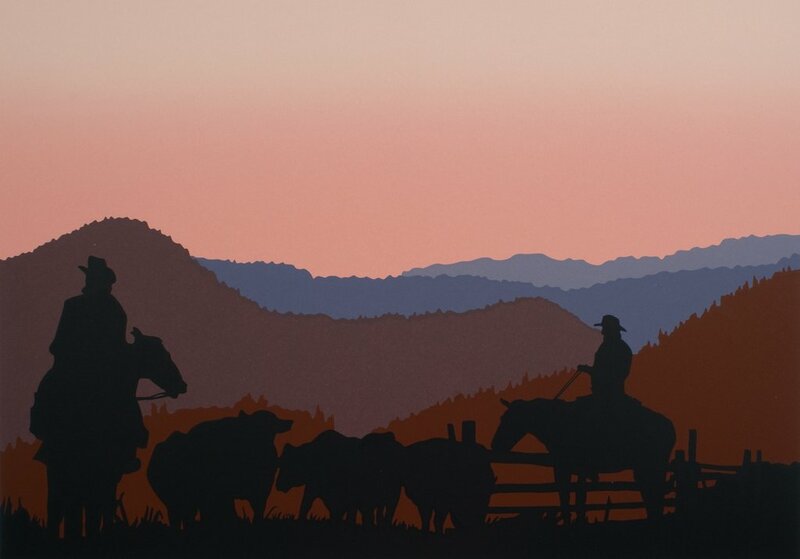 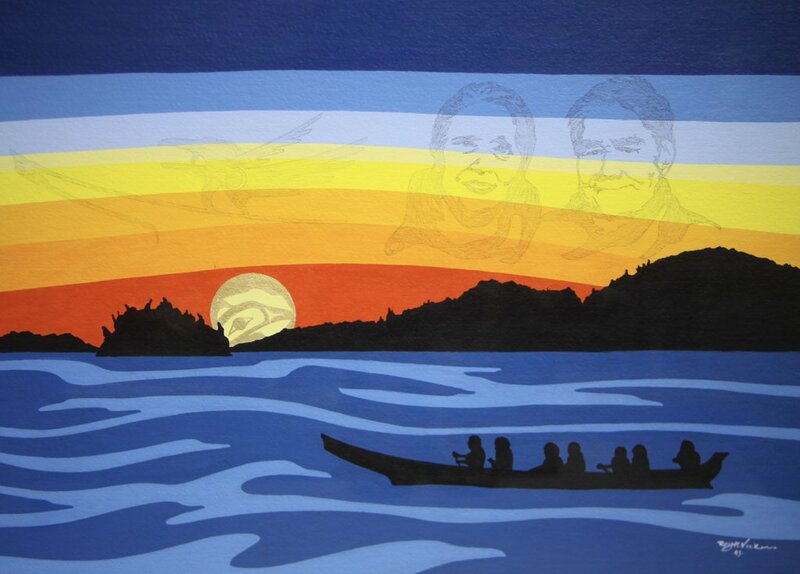 Roy Henry Vickers is a BC First Nations artist who creates recognizable BC landscapes with bold shapes, silhouettes and strong colours. 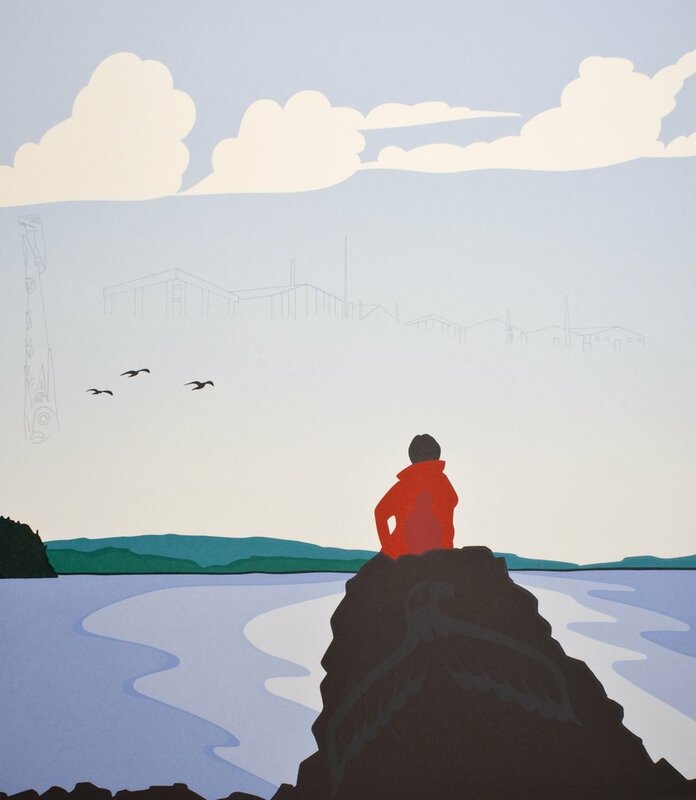 In many of his pieces, he incorporates traditional Northwest Coast First Nations formline designs in beautifully subtle ways – look in the sky. 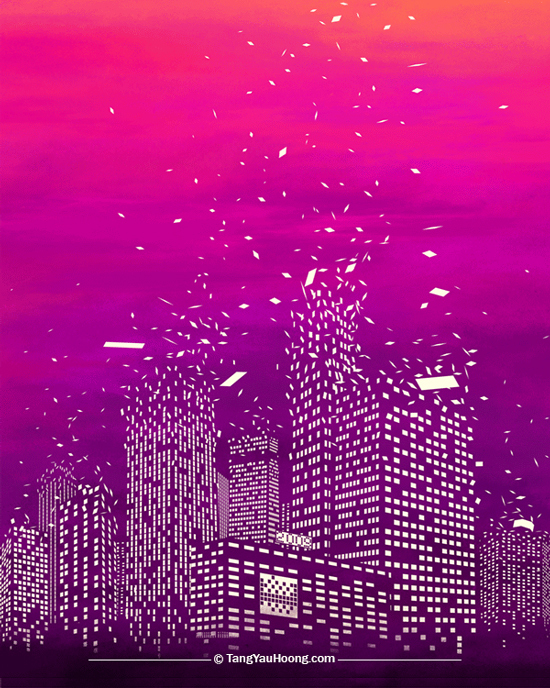 More on his website. 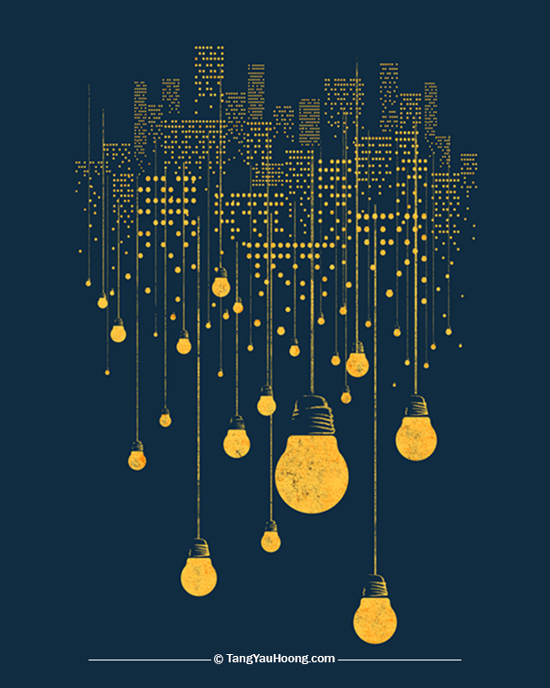 This entry was posted in Colour, Landscape on August 18, 2018 by admin. 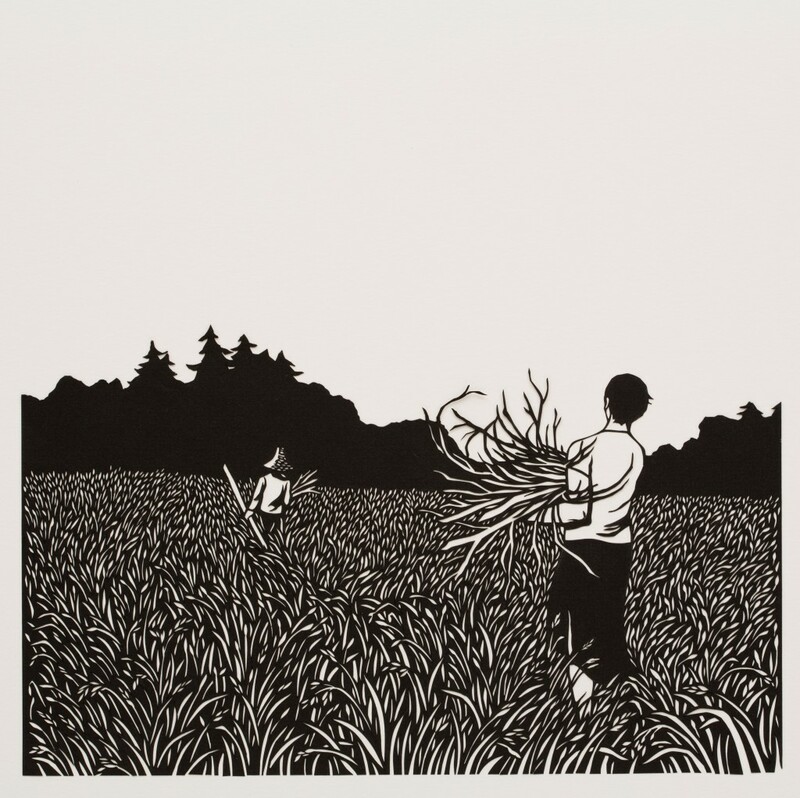 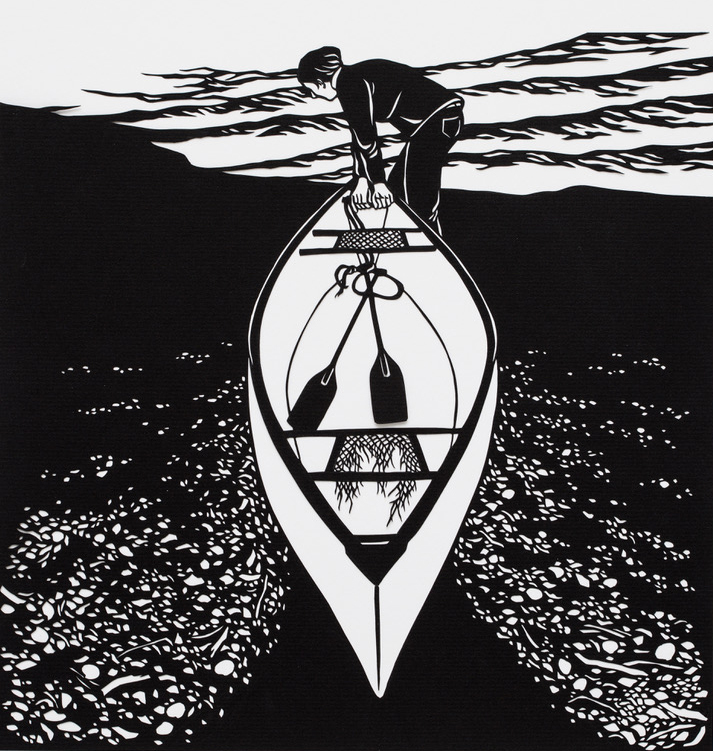 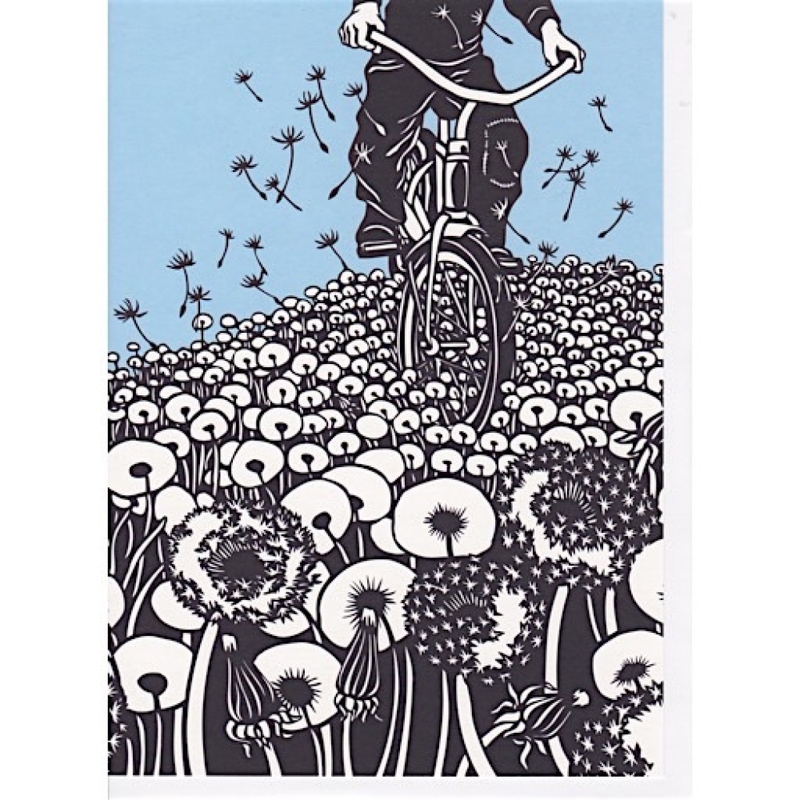 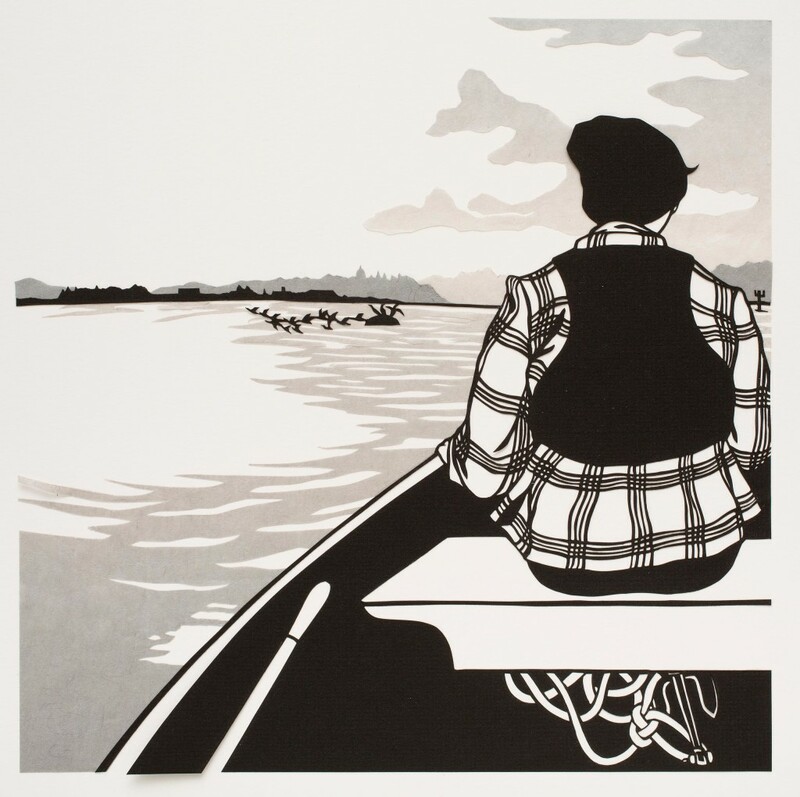 Nikki McClure’s papercuts are striking! 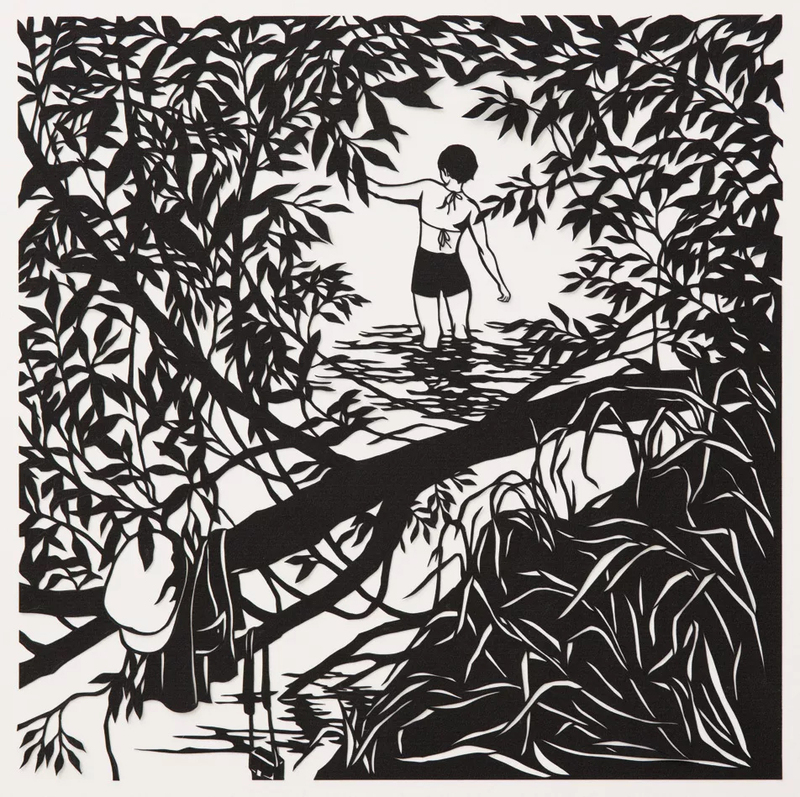 “I cut my images from black paper with an X-Acto knife. 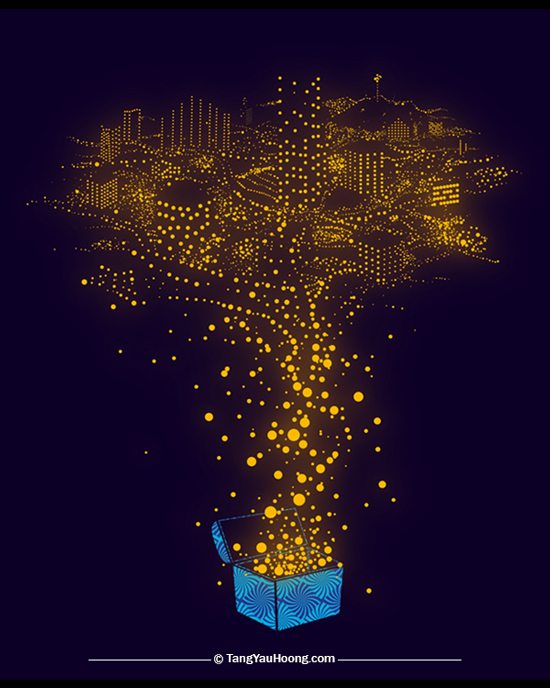 Everything is connected. 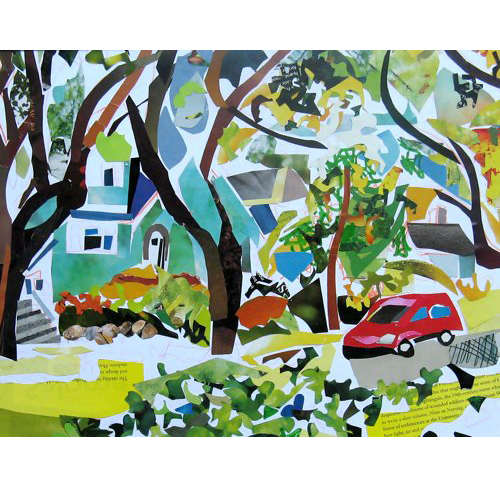 It is all one piece of paper, yet now it holds a story.” More on her website. 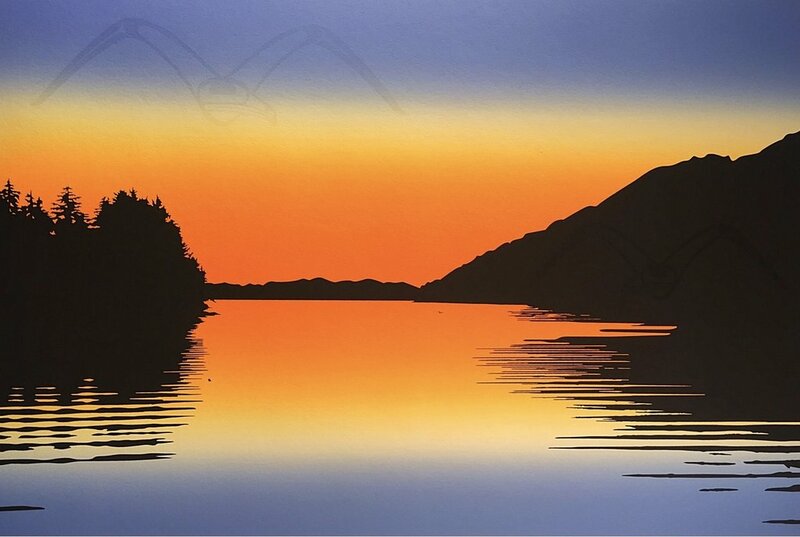 This entry was posted in Landscape on August 18, 2018 by admin. 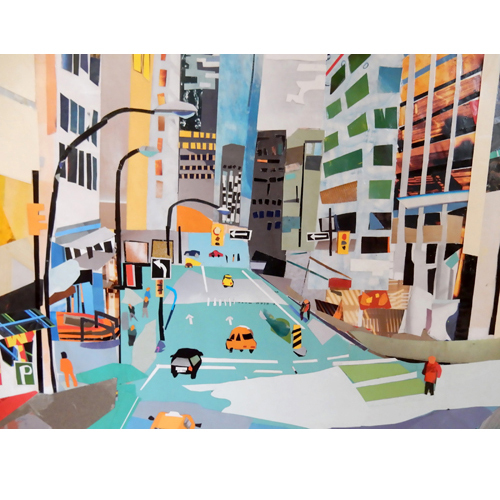 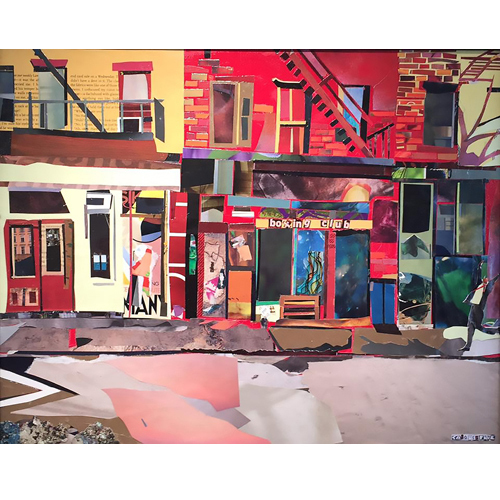 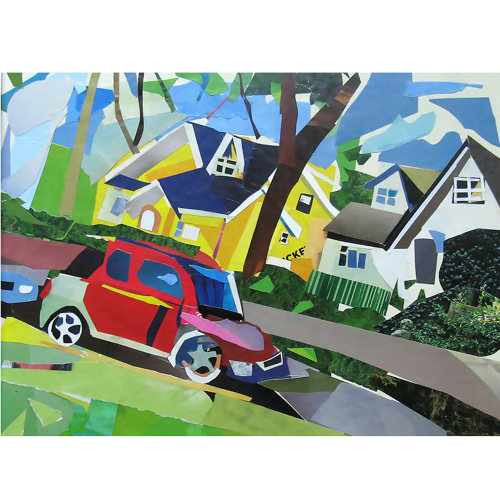 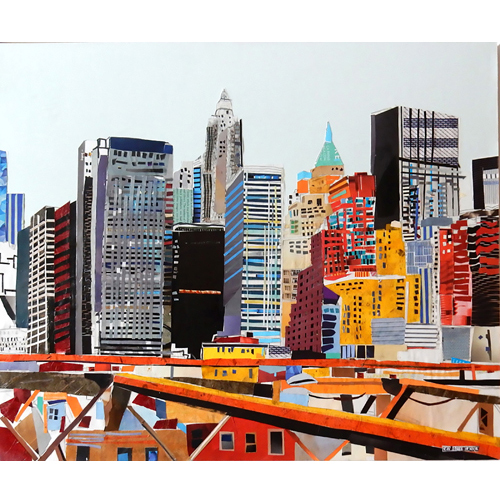 Sunshine Coast artist Carol Lafave is masterful with her collage cityscapes – they are so vibrant and have so much energy and movement. 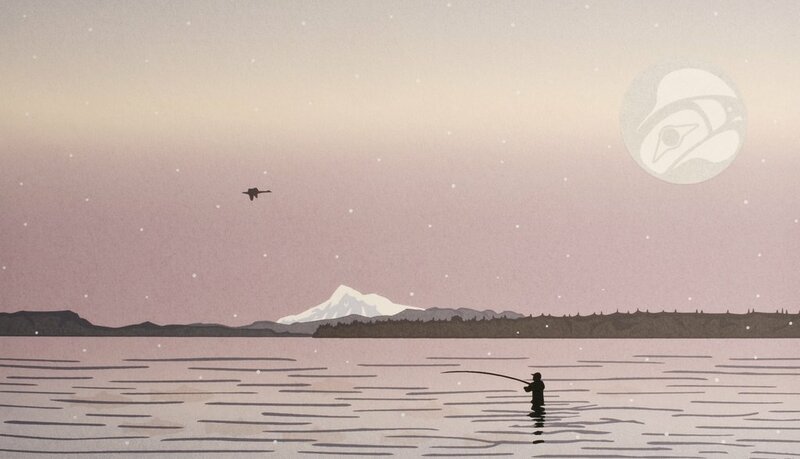 More on her website. 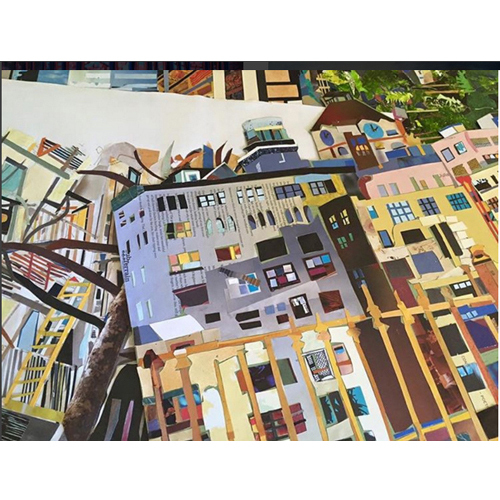 This entry was posted in Collage, Colour, Landscape on August 18, 2018 by admin. 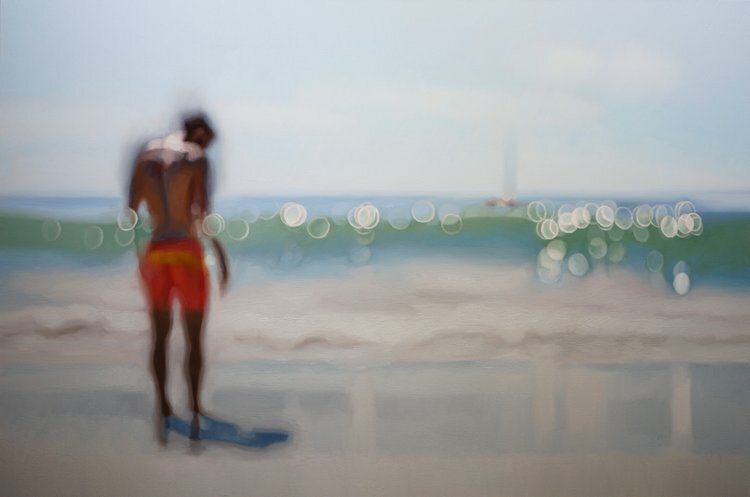 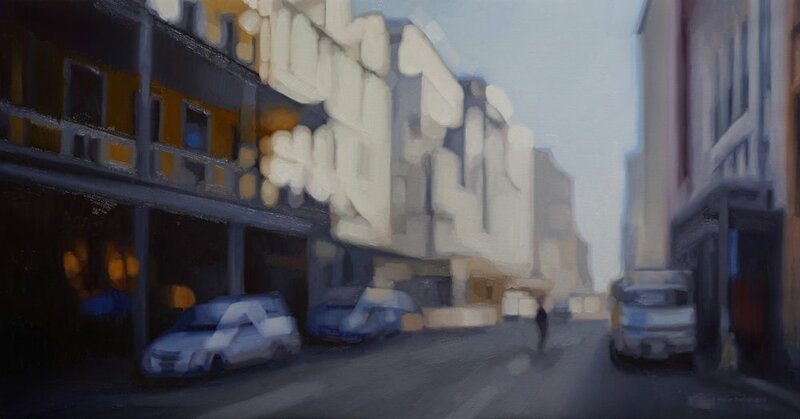 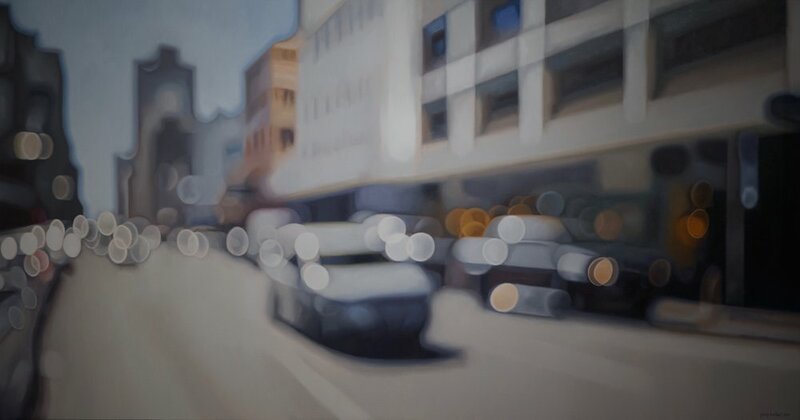 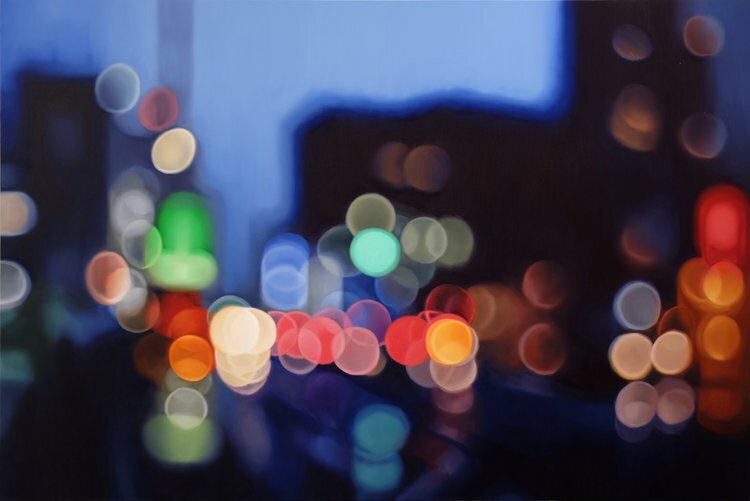 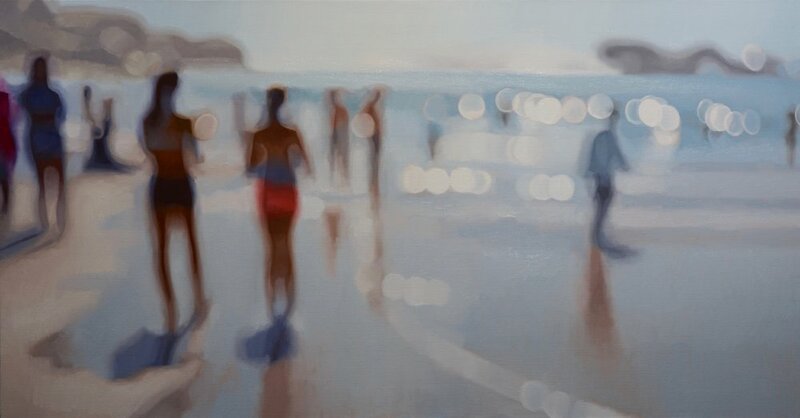 Philip Barlow’s out-of-focus oil paintings capture the light and colour of places. 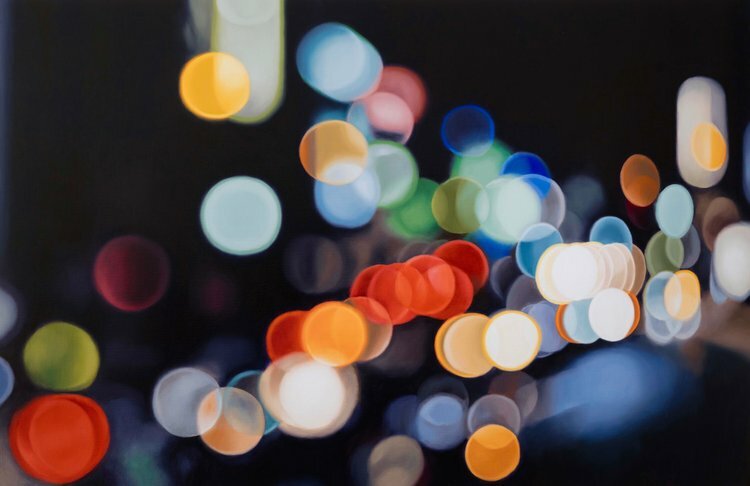 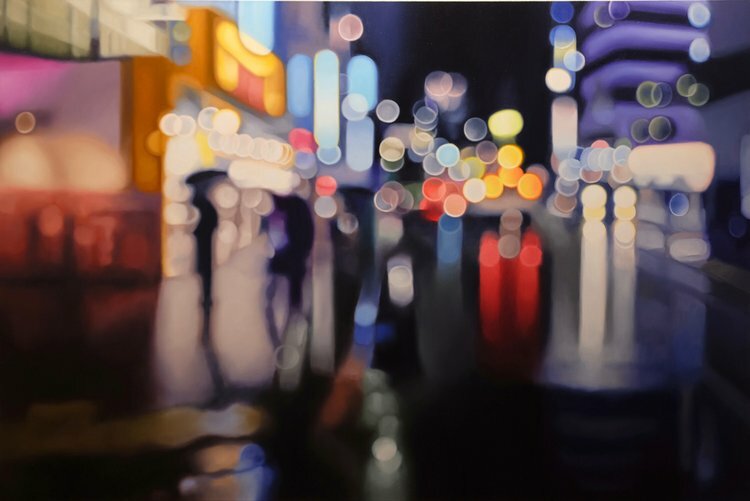 His unique approach is particularly interesting in his cityscapes at night – “blurring the focus of street lamps and headlights the way our eyes or a photographer’s lens might when adjusting to a city’s bright, multi-colored lights” (Colossal). 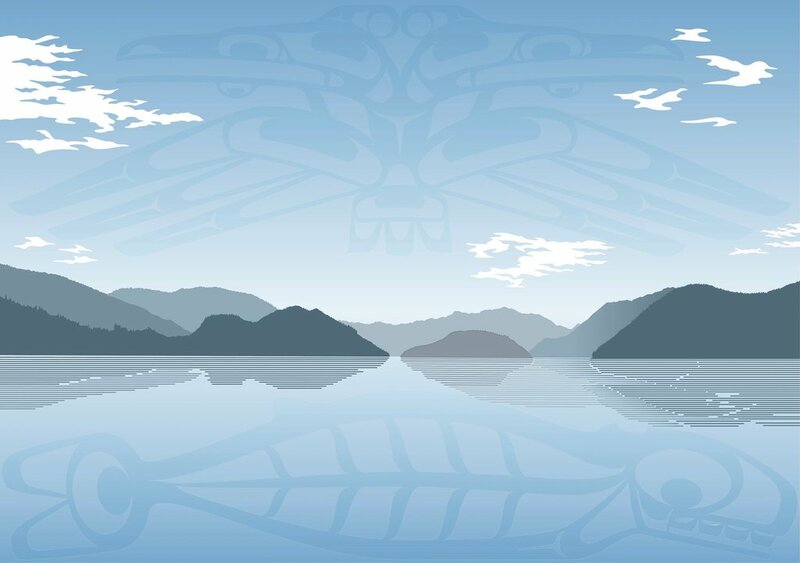 More on his website. 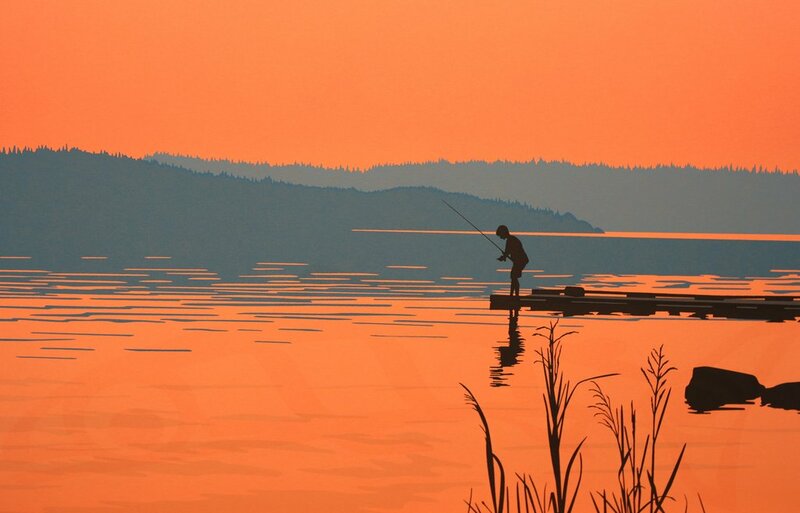 This entry was posted in Abstract Art, Colour, Landscape on August 18, 2018 by admin. 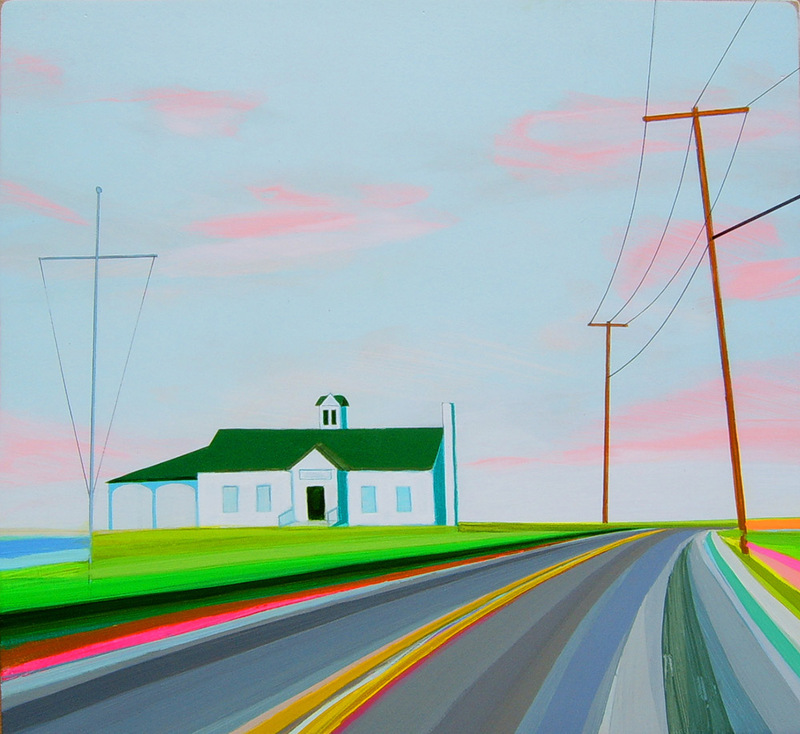 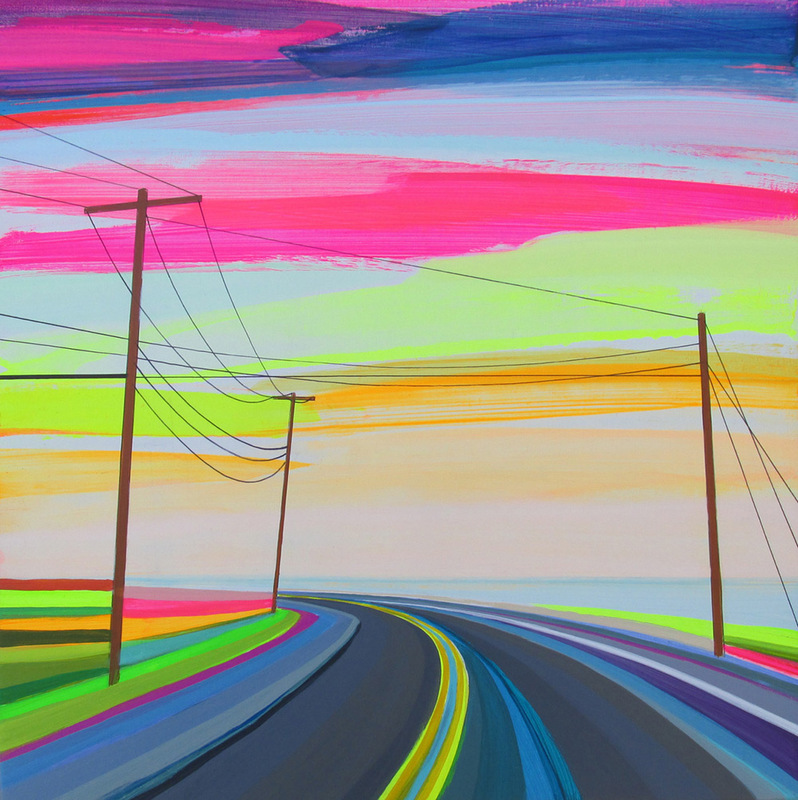 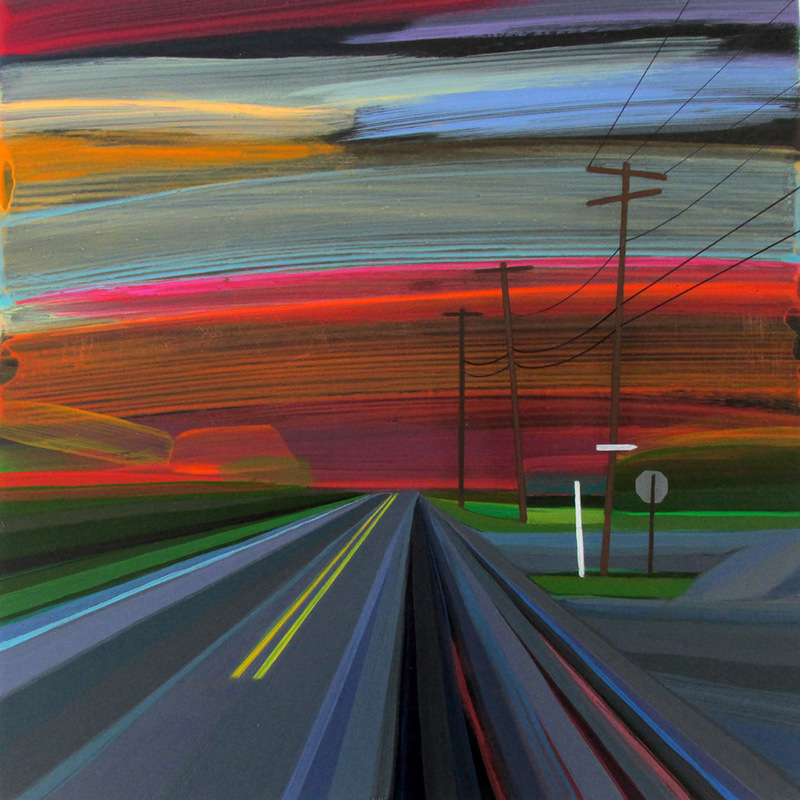 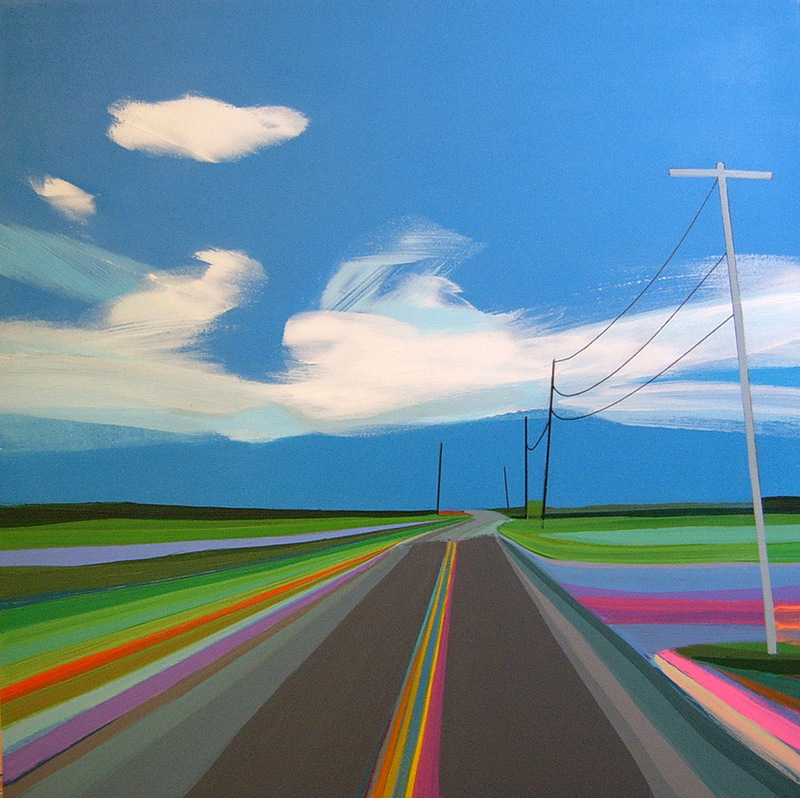 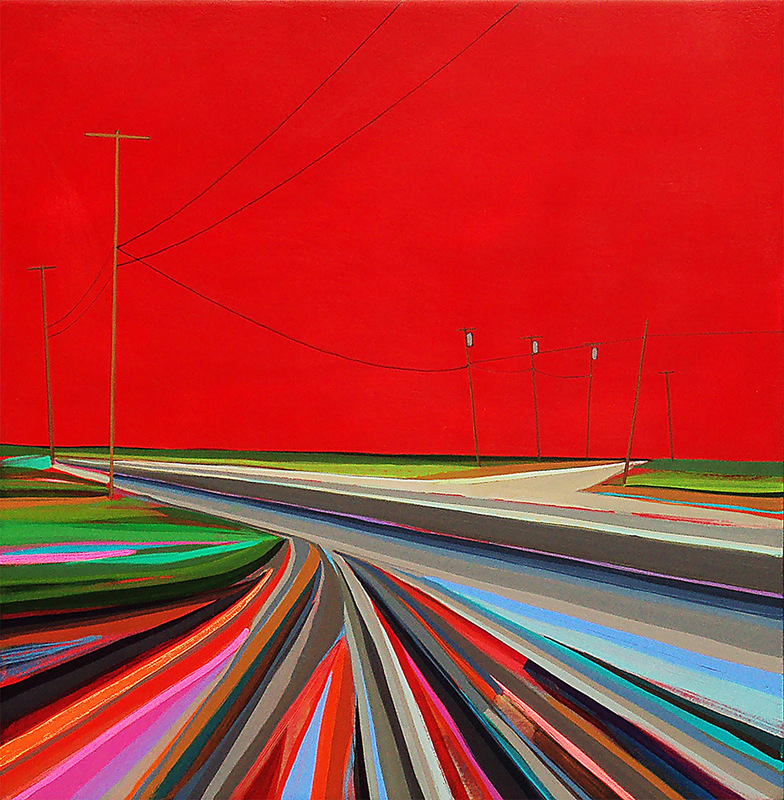 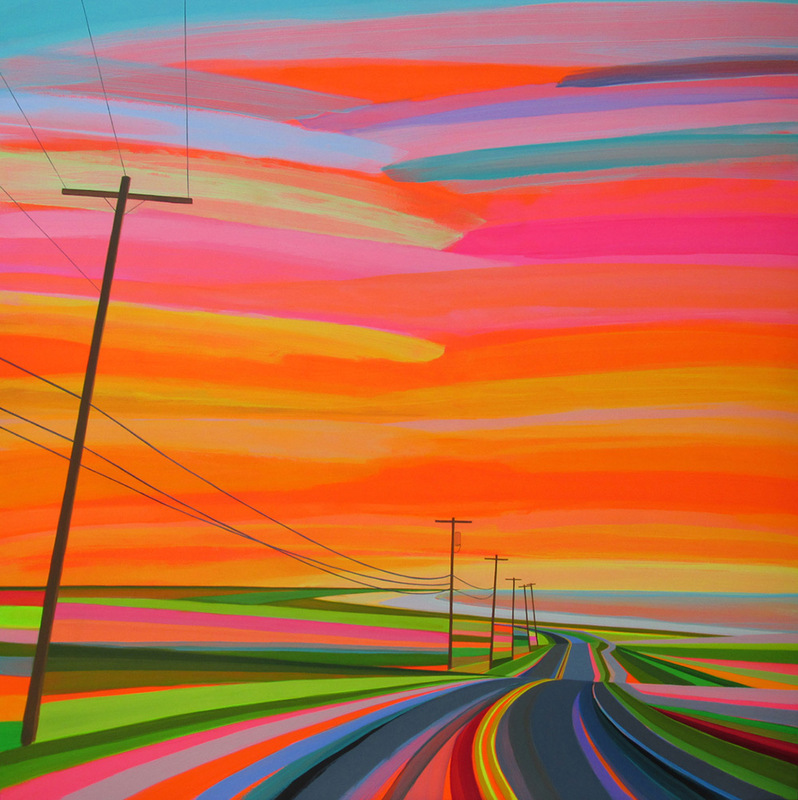 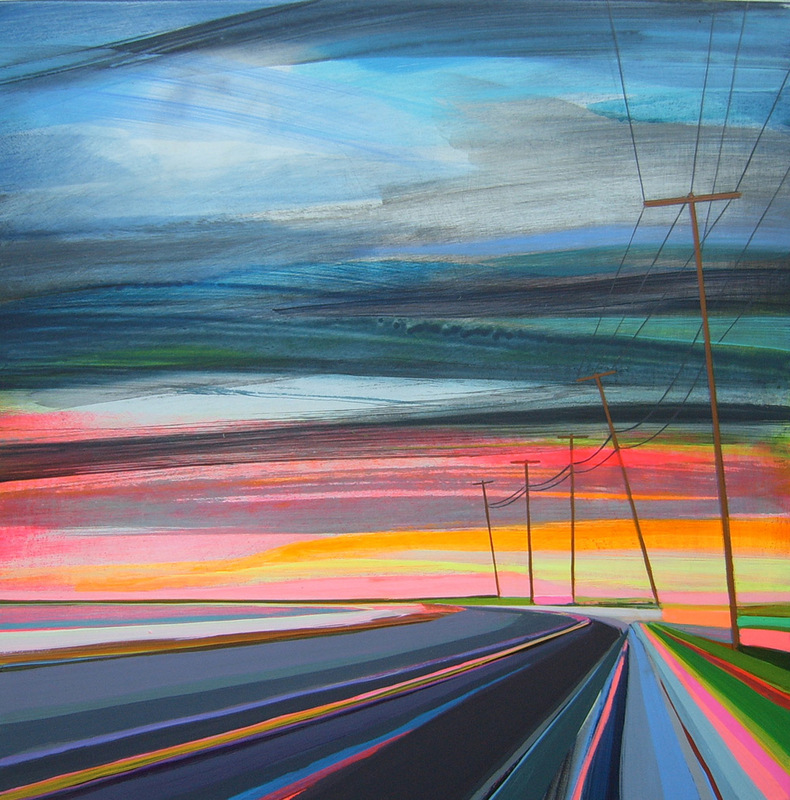 Grant Haffner paints neon sunsets and technicolour landscapes from the viewpoint of roadways punctuated with power lines. 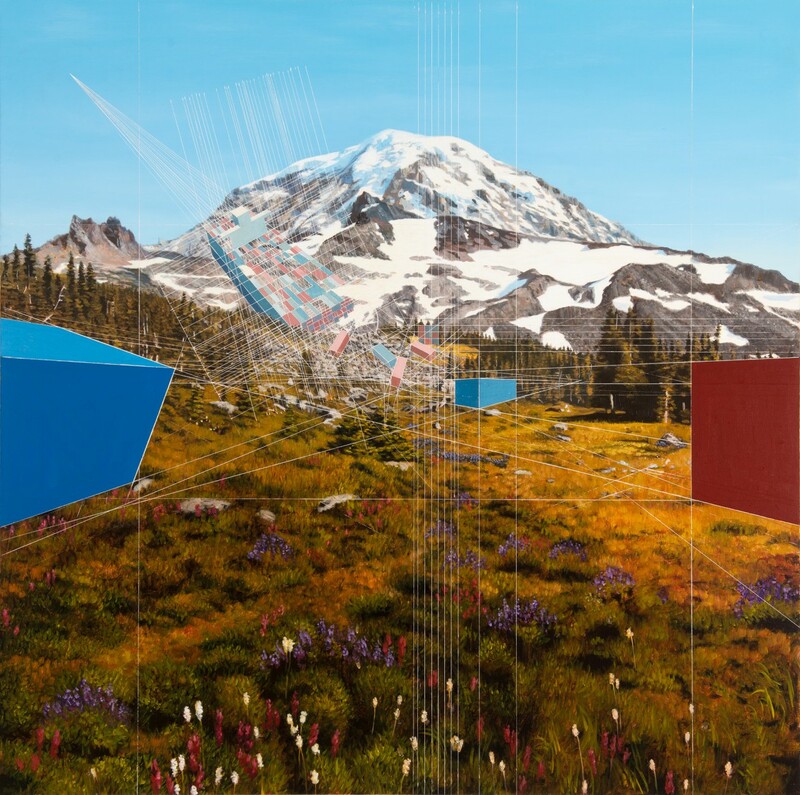 More on Colossal. 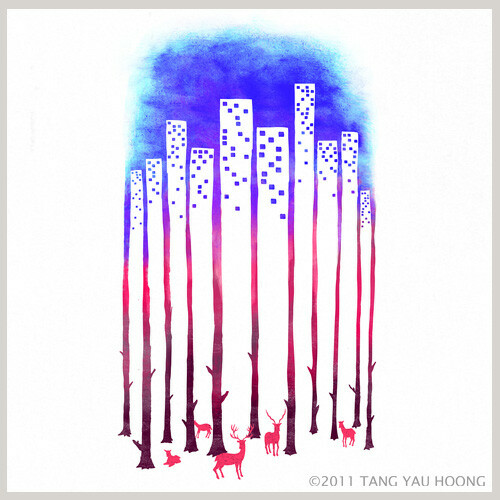 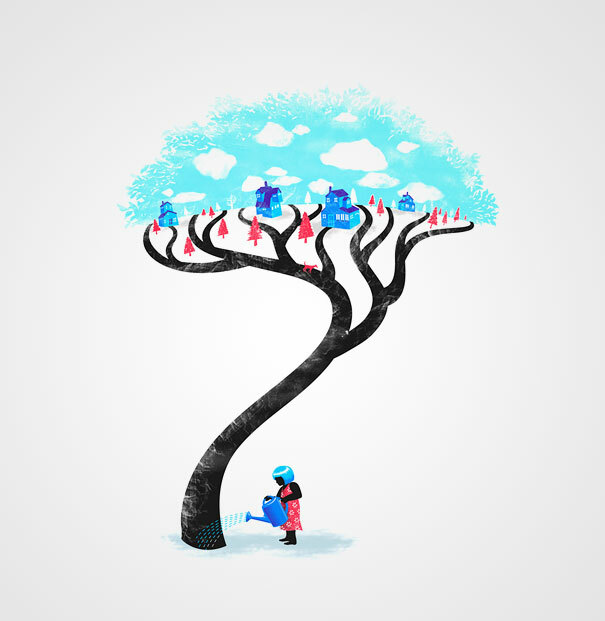 Tang Yau Hoong plays brilliantly with positive and negative space in his artwork. 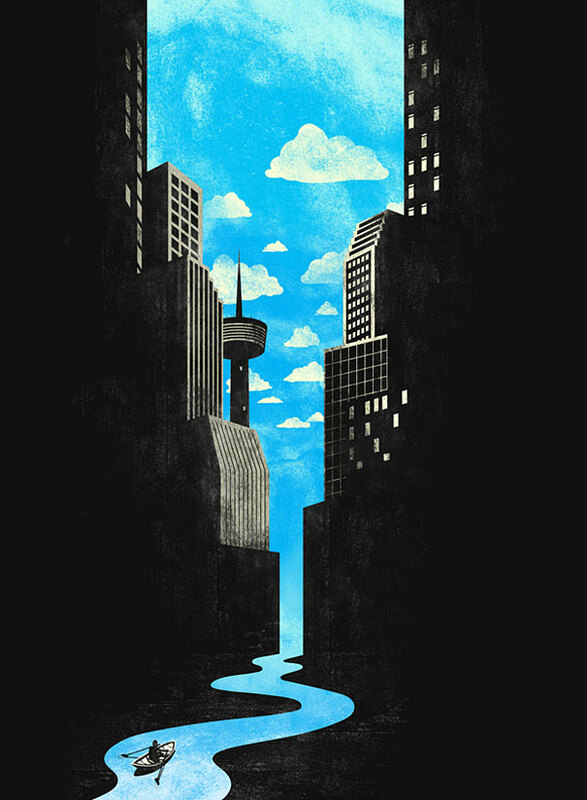 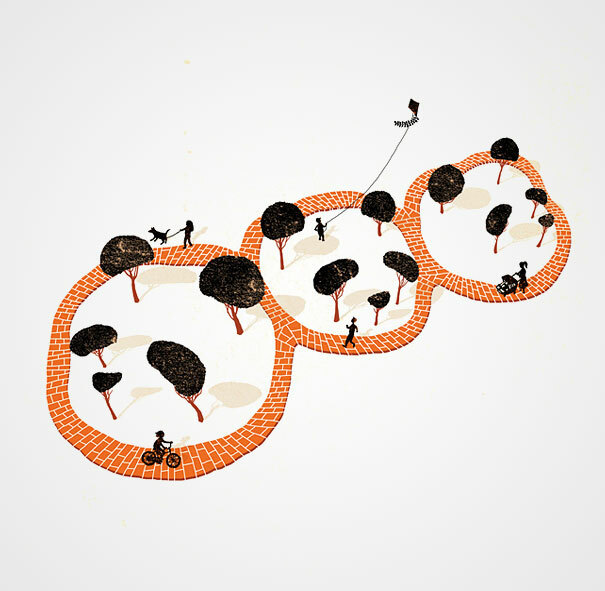 In some of his illustrations he explores the contrast and connection between nature and urban spaces. 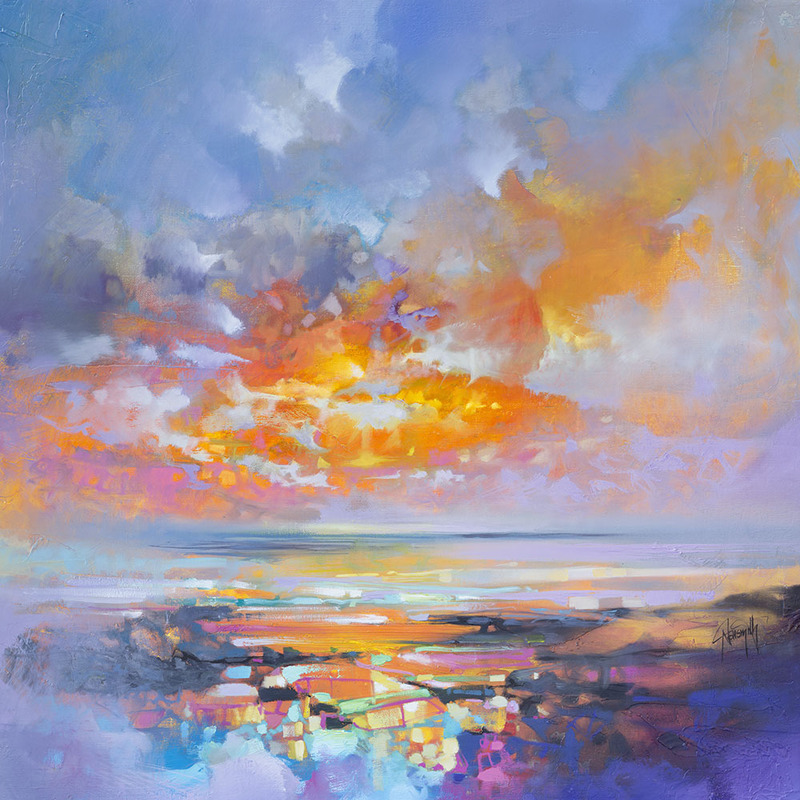 More here and on his website. 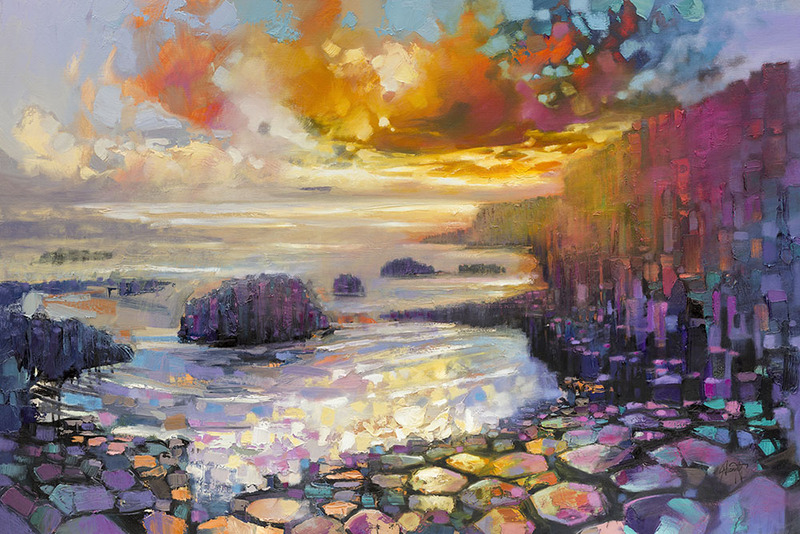 Mary Iverson’s unique landscapes combine her love of nature and her fascination with the shipping industry. 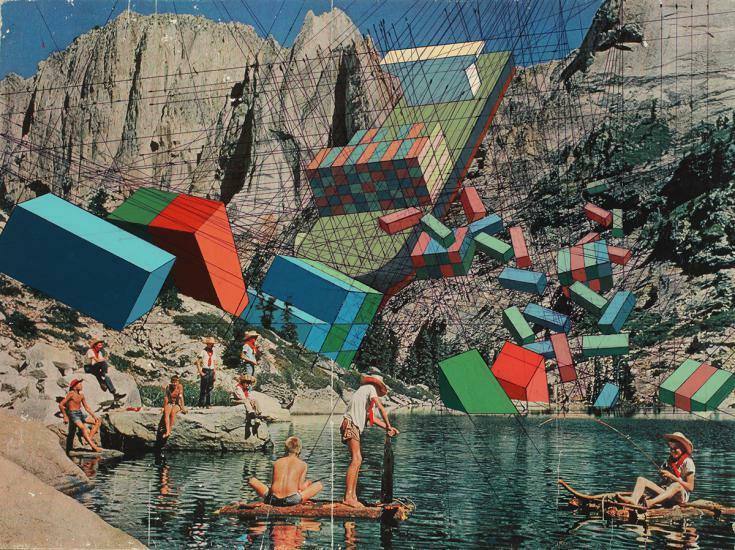 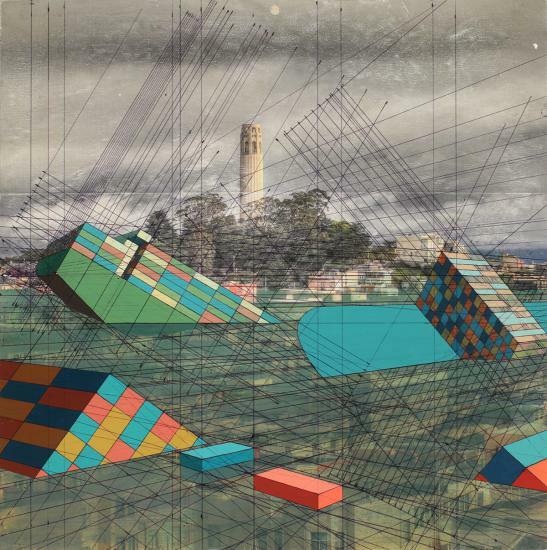 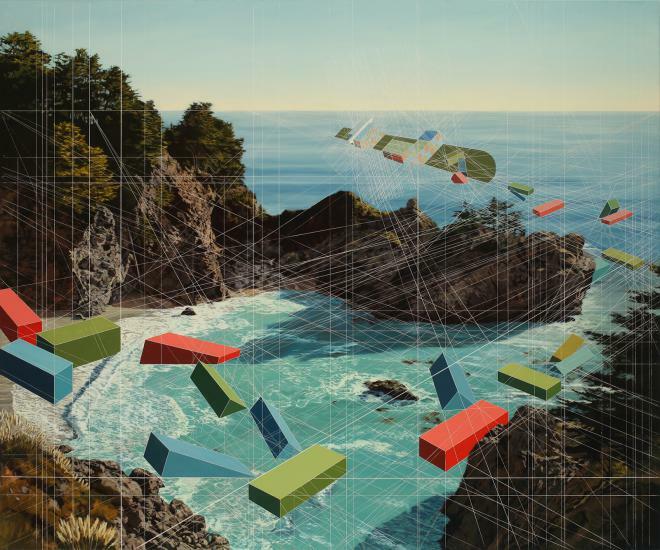 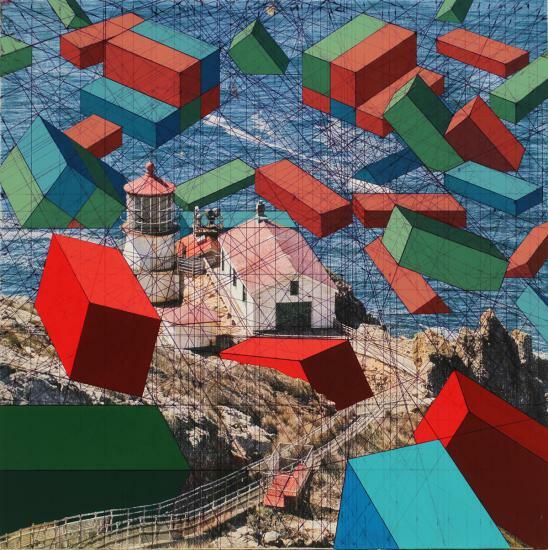 She starts with found photographs, and adds geometric shapes, grids and perspective lines in paint and ink. 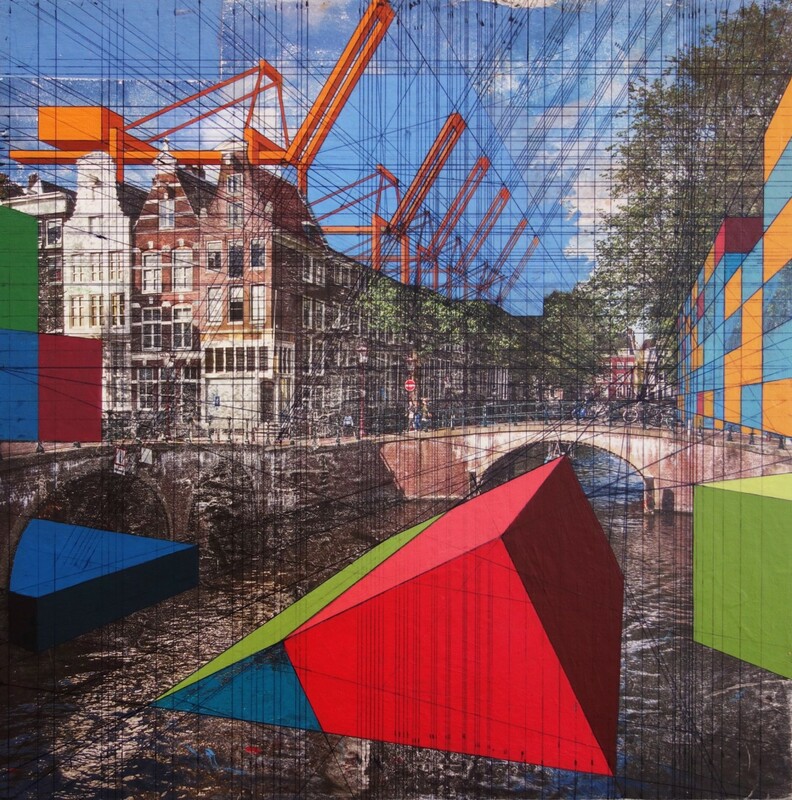 More on Colossal and her website. 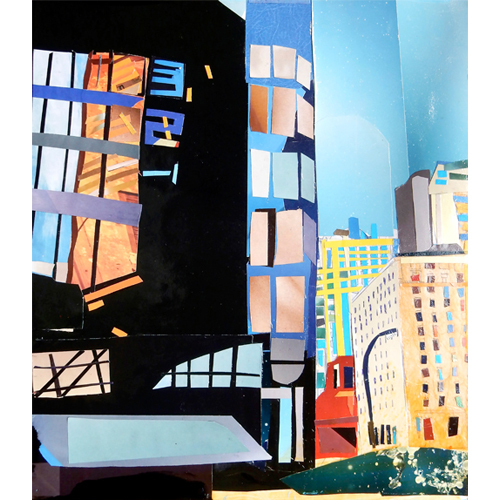 This entry was posted in Landscape, Mixed media on August 18, 2018 by admin. 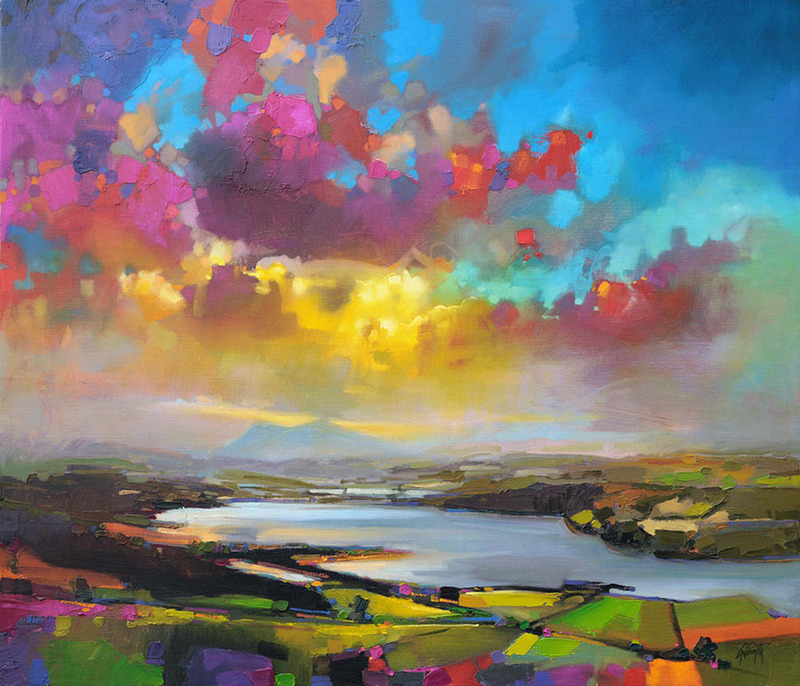 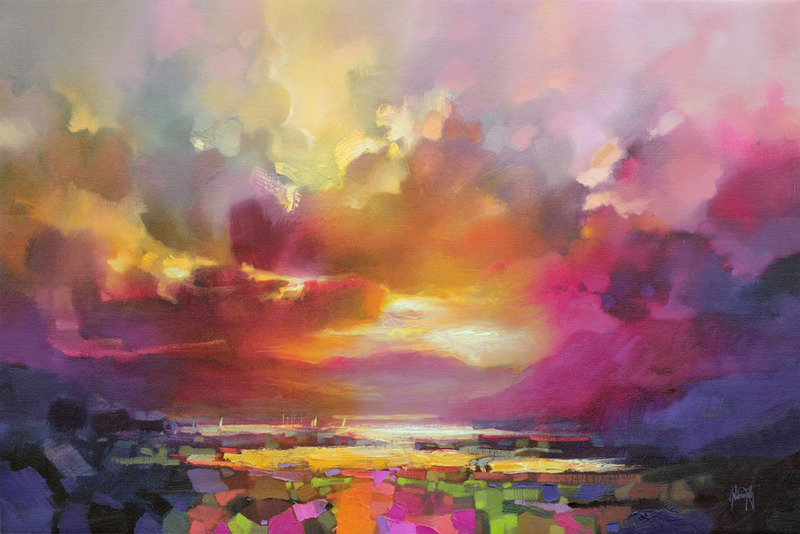 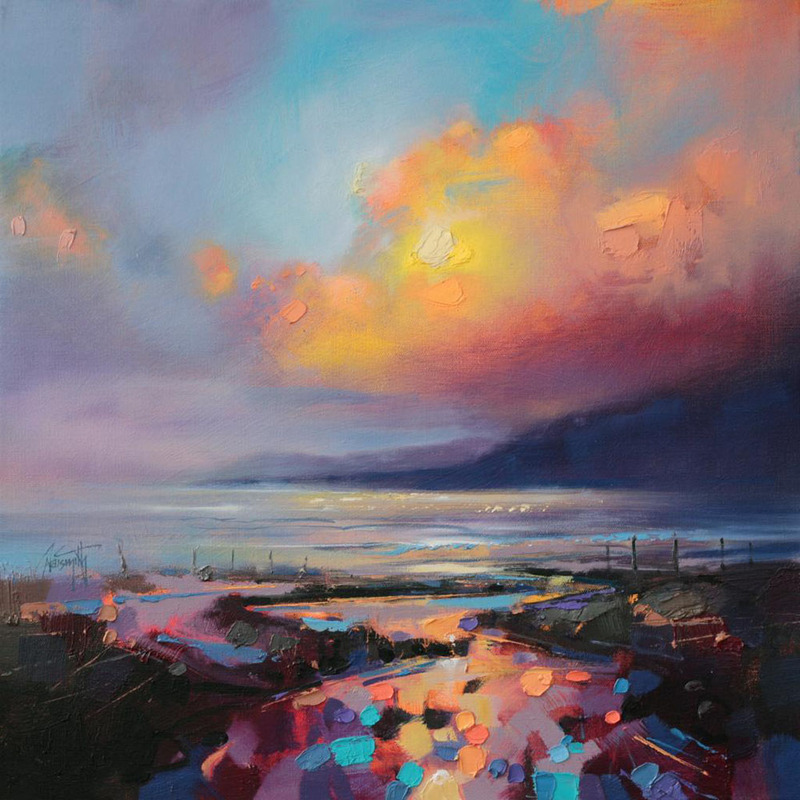 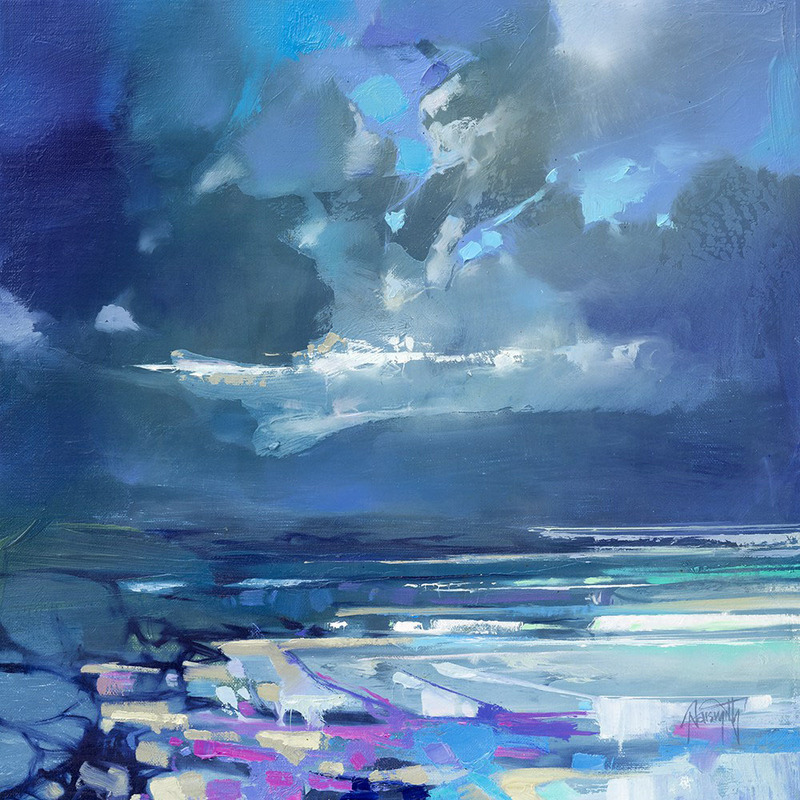 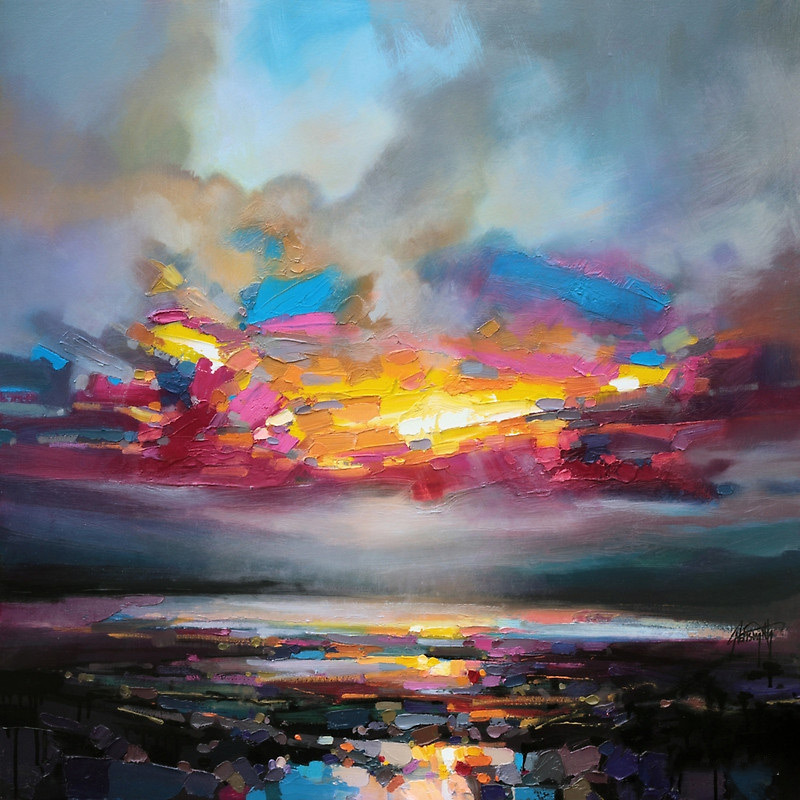 Scott Naismith captures the beauty of light in the sky by using thick brushes and palette knives to create brightly coloured abstract landscapes. 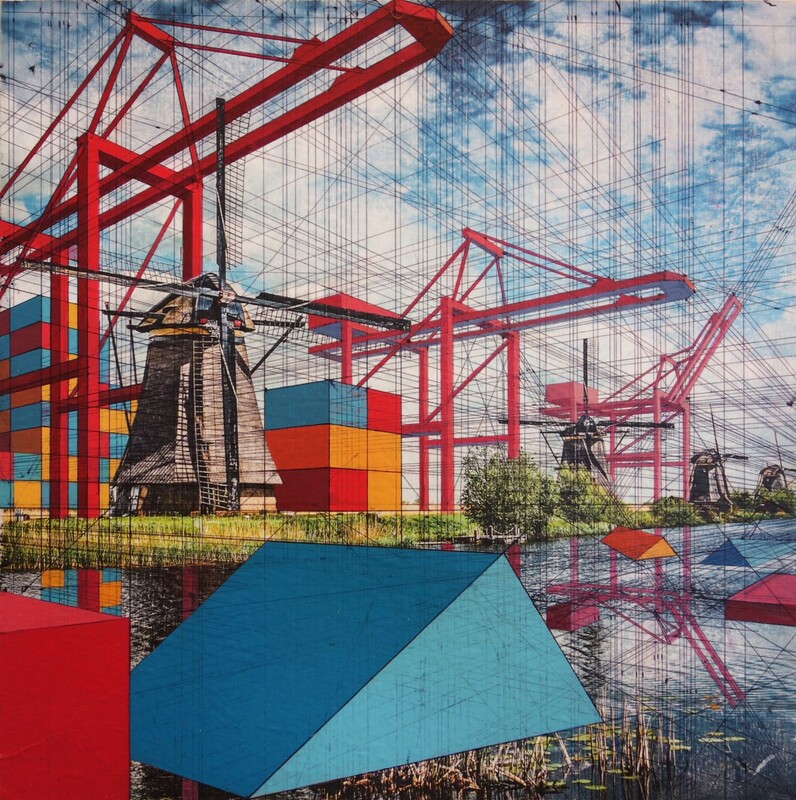 More on Colossal. 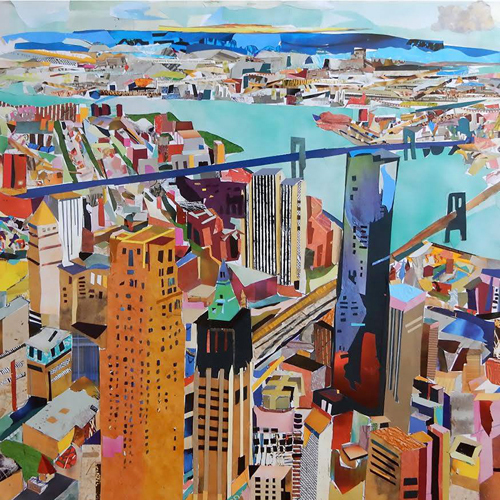 Zaria Forman creates massive, awe-inspiring soft pastel drawings of places impacted by climate change. 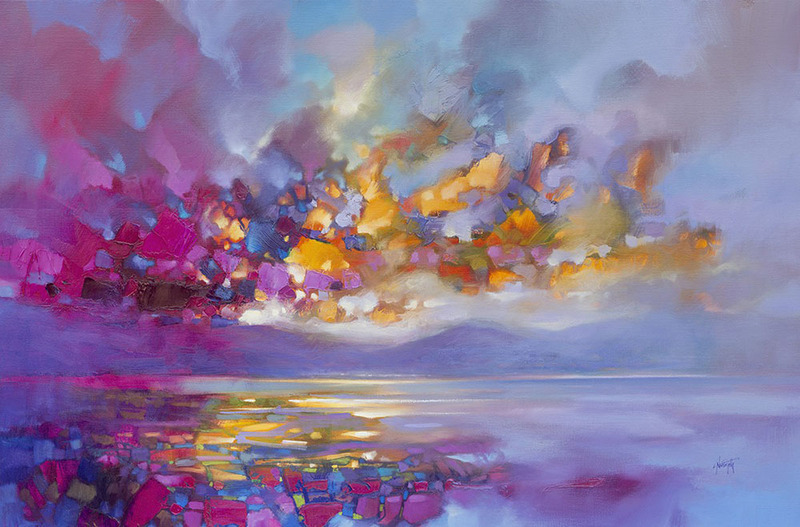 Her brief TED talk explains her inspiration (why these places matter to her, and why she makes art of them), as well as her process, with the backdrop of many of her stunning works. 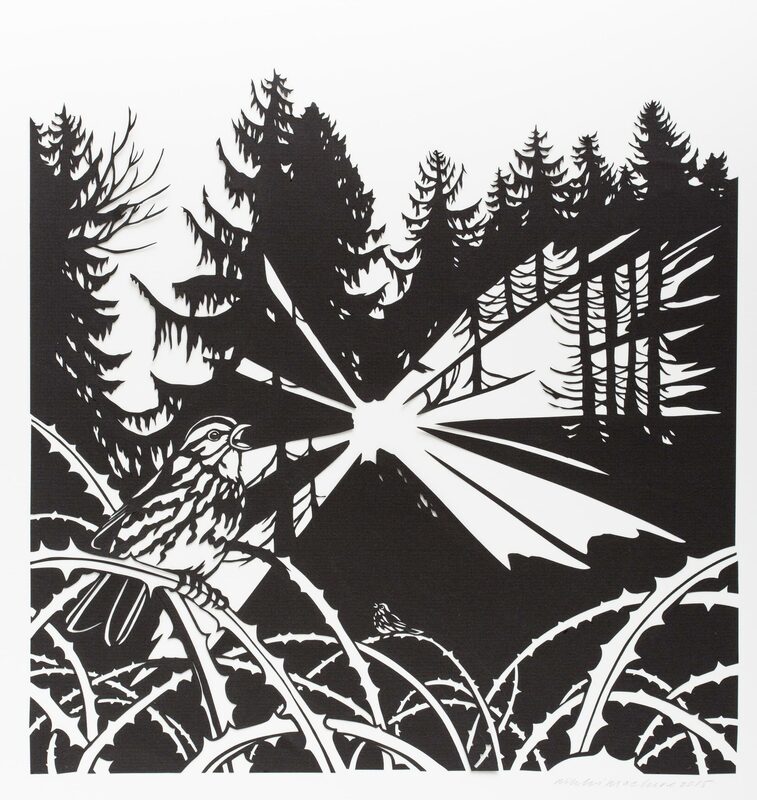 You can view more of her artwork on her website. 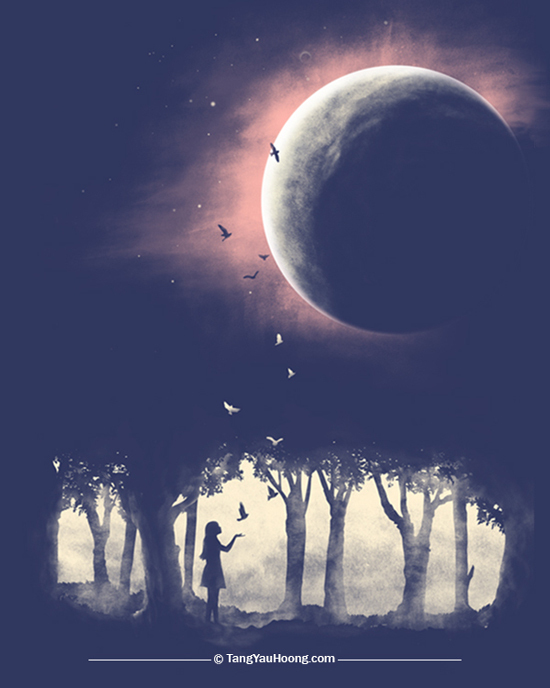 This entry was posted in Landscape on August 19, 2018 by admin.